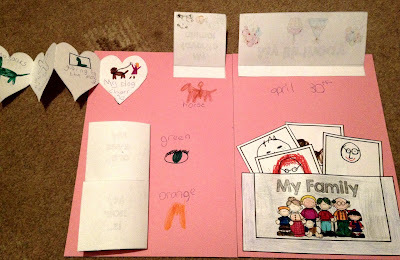 The Best of Teacher Entrepreneurs III: Back to School: All About Me Made Fun! Today, I'm going to share with you one of my fave 'Back to School' resources. It's a fun and interactive way to find out more about your students. 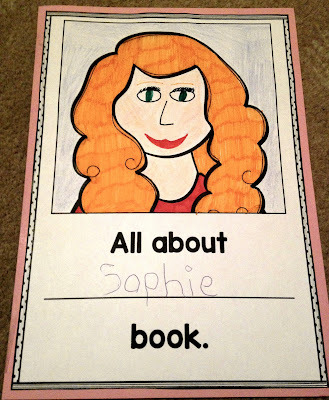 It's my All About Me Interactive Book. This is the front cover of the book. It come with 3 different cover options; a blank girl template, a blank boy template and just a blank box where students can draw their own image from scratch. And this is what the inside of your book will look like (or similar) once open. Don't worry about the spelling - this resource comes in two different PDF files once you download it with two different spelling options (favorite and favourite). There are lots of different inserts that you or your students can choose from. This particular student chose the tabs you can see on the right. You can lift or pull out the tabs and it will show you the students information. This is what the Things I Love tab looks like once pulled open. Note that one side of the hearts it's simply coloured in red and the other side is where the student has drawn and wrote about the things that they love. This resource also comes with a People I Love option. 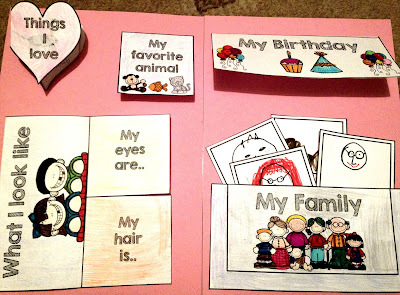 Students do not have to be able to write and draw to take part in this activity. You can simply print out symbols/photos or even use magazines/catalogues to cut out items that the student likes. Next up is the families part. 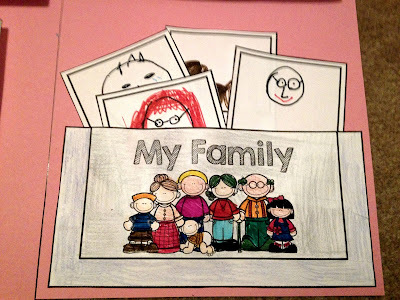 Every child in your class will no doubt have a different family set-up to the next. Family plays a huge role in the lives of the children we work with and it's important we find out as much as possible - without being intrusive - so that we can be more respectful through the year, especially on certain occasions. It also means we can be more inclusive - if you send home Christmas Cards and you know who lives at home with the individual child you can make the cards more personal 'mum and jessie' or 'mum, dad and grandma' etc. For this part, I love to introduce a mirror. 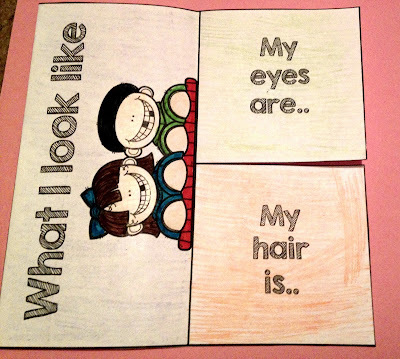 The students are given the chance to really look at themselves and how they look. In our class we love to celebrate everyone's birthdays - both students and staff! 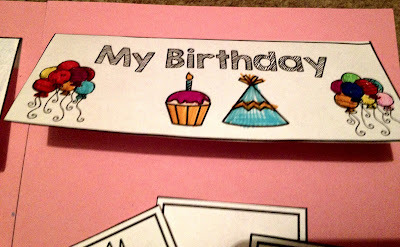 Many of the children in our class won't really understand their birthday - what it means or never mind when it is! But, we like to include it just in case any of the children do understand - some do and get very excited about their birthday! And finally, this is what the book looks like once all the pieces are open. As you can see, Sophie is able to draw and write down her answers - but you don't have to be able to do this. As stated before, you can print out symbols/photos, ask families to send in images of the family - that way you can make it really personal to the individual. You can get hold of magazines, catalogues and get your children to cut out from there - or you can help them if they need some assistance! Plus, it's a great talking point and hopefully will help to calm those first day bak nerves and get your students more open and talking to each other. Now, as I mentioned earlier, this book doesn't just come with the inserts shown - it comes with even more choices for you/your students to choose from! My Self Portrait - one long pull open tab (vertical) girl and boy option for cover as well as girl and boy body templates to decorate if you wish to use. 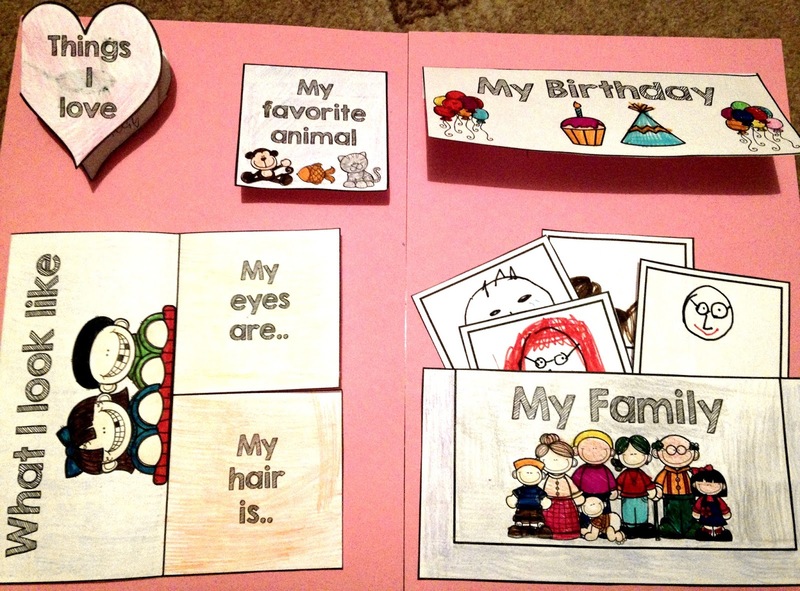 Each page in this activity/resource pack comes with instructions on the bottom of each page for you to follow. Don't forget you can find the resource by clicking any of the images above or clicking here.